Carole E. Reagan’s practice focuses on intellectual property and complex commercial litigation. She has successfully represented business clients across a diverse array of industries, as well as prominent individual clients, in trademark, trade secret, and copyright litigation, consumer class actions, contract and real estate disputes, and unfair competition, breach of fiduciary duty, and other business tort matters. Carole is experienced in all aspects of litigation, from pre-litigation counseling through appeal. She also has substantial experience in mediation and other forms of alternative dispute resolution. Representative clients include: Toshiba America Information Systems, Inc., California State Controller’s Office, Bed, Bath & Beyond, Inc., Shea Homes and Mission Viejo Company, Target Corp., Ralphs Grocery Co., El Torito Restaurants, Inc., and Playmates Toys. Carole has been named to the Best Lawyers in America® list for Intellectual Property Litigation for the last seven years (2013-2019). In addition to litigation, Carole regularly advises clients on other trademark matters, including trademark selection and use, registration of business and product names and logos, as well as infringement policing and domain name disputes. 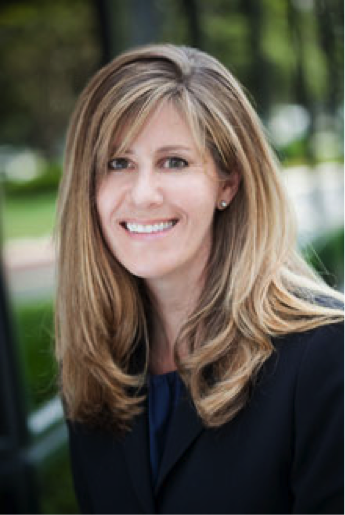 Carole currently serves on the Board of Directors of the Public Law Center, Orange County’s provider of pro bono volunteer legal services, committed to providing access to justice for the County’s low income residents. She has handled several matters on a pro bono basis, including asylum, housing, and family law cases. She also provides pro bono trademark services for HomeAid America. Carole has over 20 years of big firm experience. Prior to joining Umberg Zipser LLP, Carole was a partner at Manatt, Phelps & Phillips, LLP, and before that was of counsel at Morrison & Forester LLP. Representation of the California State Controller’s Office in a dispute with SAP Public Services, Inc. concerning the failed modernization of California’s state employee payroll and benefits system. The matter resulted in SAP’s payment of $59 million to the State of California. Representation of a leading restaurant chain in a high-profile trademark matter; resolved successfully on summary judgment. Representation of a diverse group of clients including large retailers and consumer products manufacturers, real estate developers, computer software manufacturers, and multiple charitable organizations in trademark, trade secret, and copyright litigation. Representation of real estate developers in various construction-related class actions.